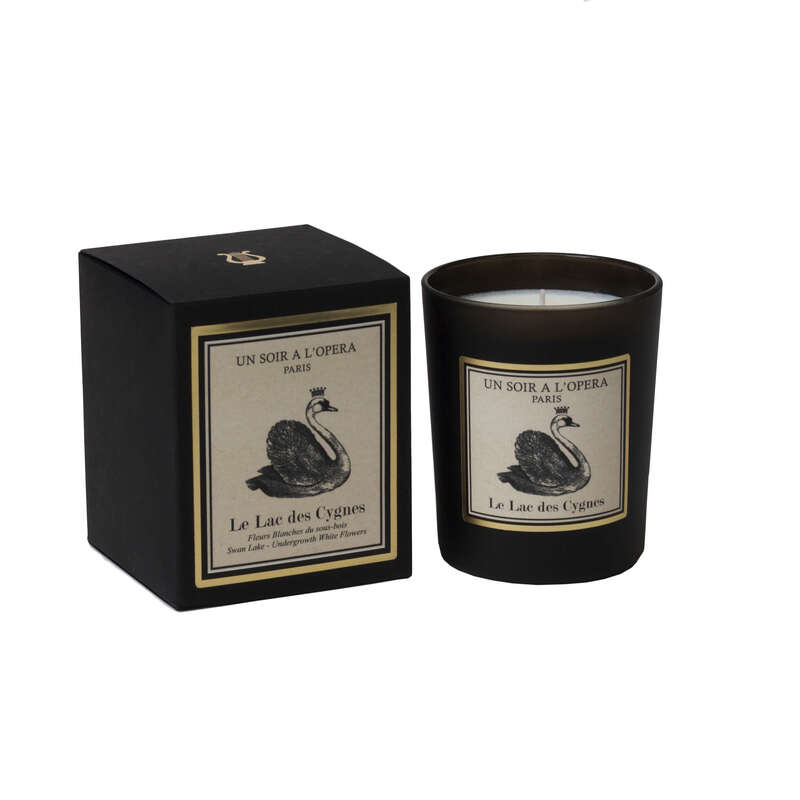 The Swan Lake One Wick Scented Candle by Un Soir A L'Opera carries the fragrance of undergrowth and white flowers. The inspiration: Prince Siegfried goes hunting in the woods by a glistening, moonlit lake. The Swan Lake candle invites you to follow the ballerina's footsteps into the wood.